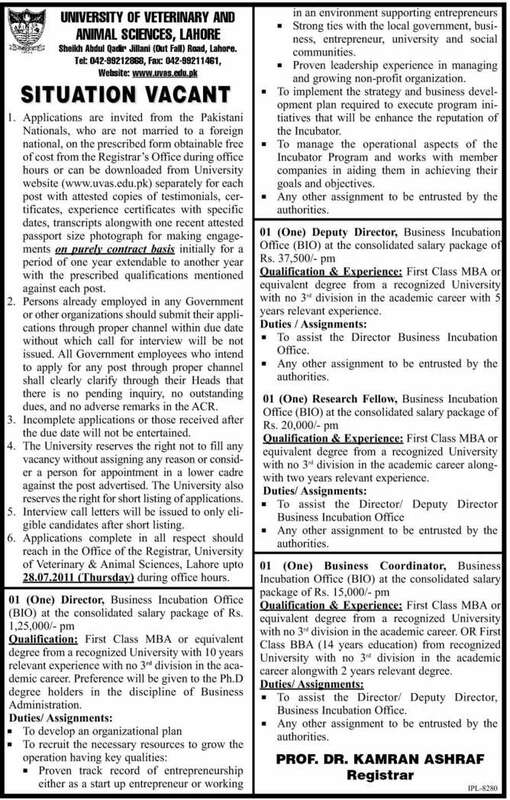 University of Veterinary and Animal Sciences Lahore Career Opportunities For MBA AS Director. Send your resumes before 28-07-2011. Details are given below. Daily Dawn.